Cartier has been well known for decades among royalty and collectors of fine objects for their jewelry and Tank watches. But it was only in the 80s that they made a real breakthrough to become well-known among the general public. 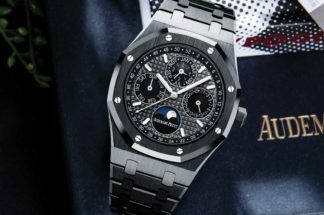 A possible reason why this had taken so long to happen, is that Tank watches, and also others like the Santos, Tortue or Tonneau, were always made in gold or platinum and, therefore, were not always within reach for everyone. 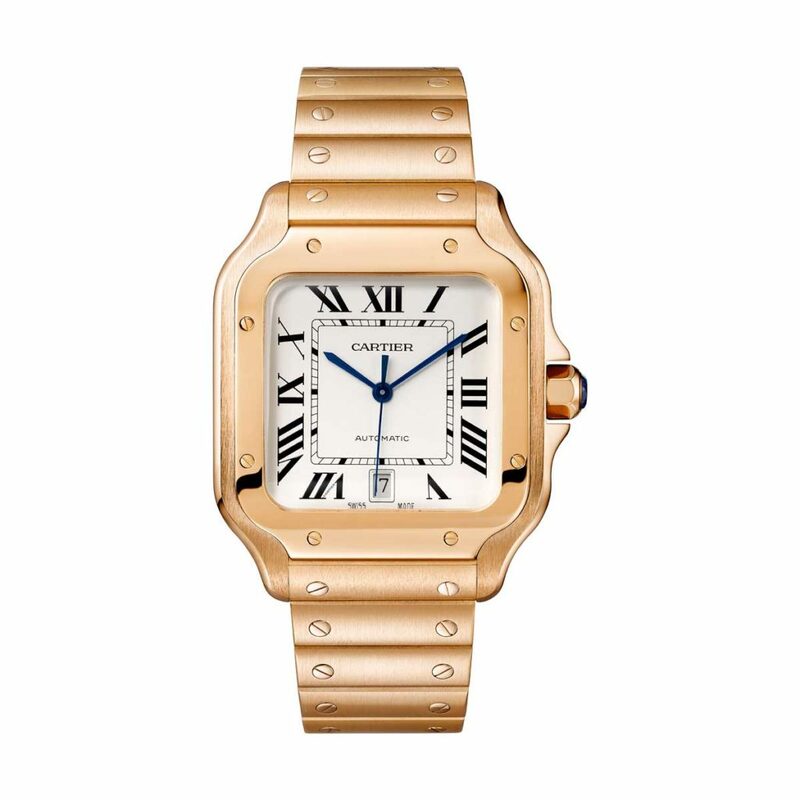 But a change in the maison’s vision in the late 70s made Cartier accessible to a larger audience. In 1978, the gentleman who was assigned as Marketing Manager of Cartier at the time, Dominique Perrin, came up with a clever idea, to launch an affordable sports watch, based on the legendary ‘Santos Dumont’. 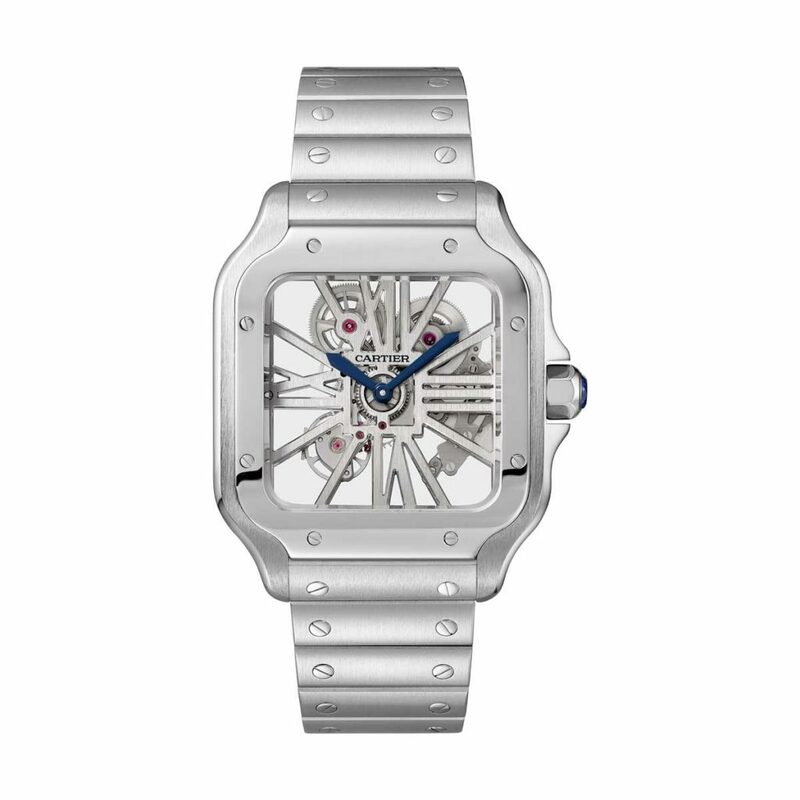 The watch needed to appeal to a younger crowd and fit a variety of lifestyles. 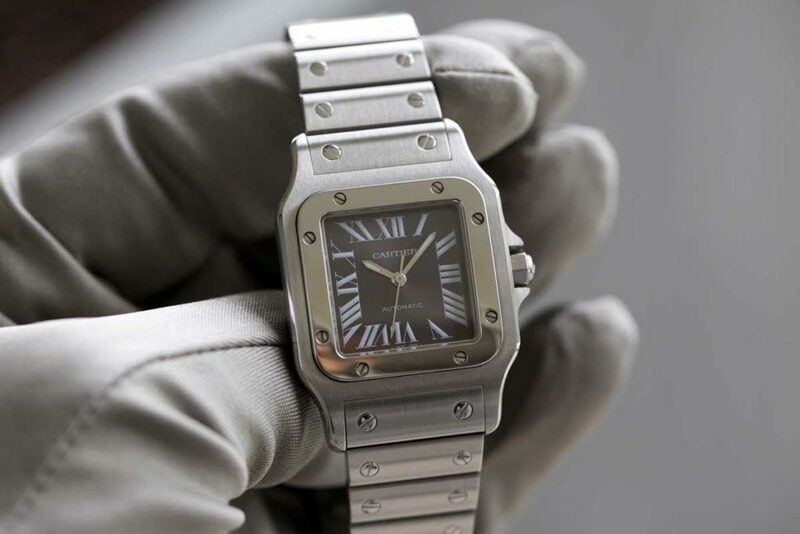 The answer was steel, a material Cartier had not worked with before for watches. Other than a black bakelite Santos in 1924, this was one of the first, or may be the first watch by Cartier, that was not made in a precious metal. However, in order to give the new watch a sense of luxury still, Perrin and his team decided to launch the model in steel with gold accents. A daring combination, since the mix of steel and gold was not common at all, at that time. 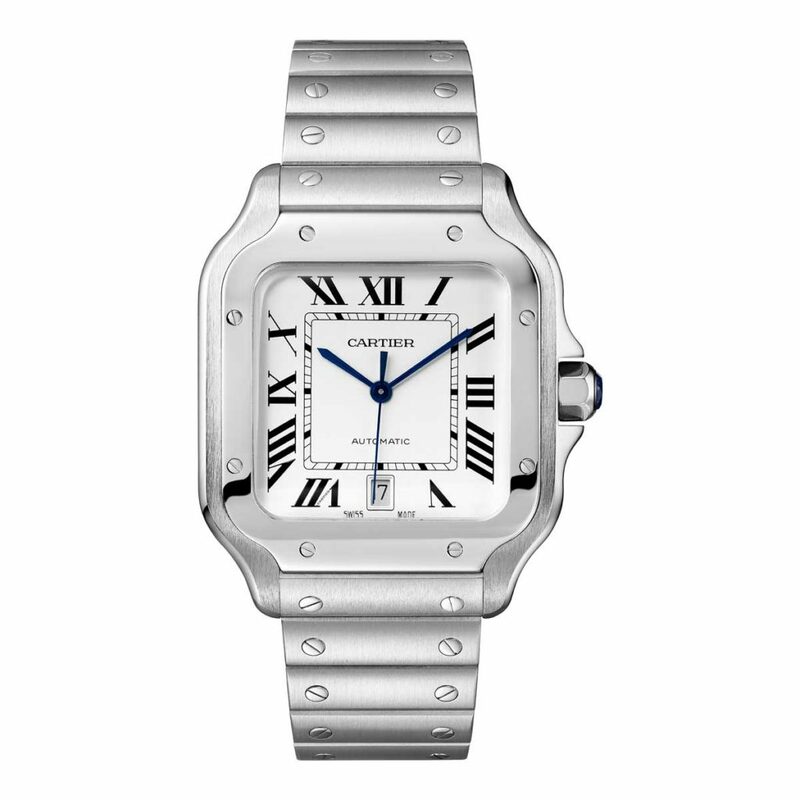 Cartier was one of the first, if not the first company to introduce this new trend. So, the Santos was actually born to be a two-tone timepiece. 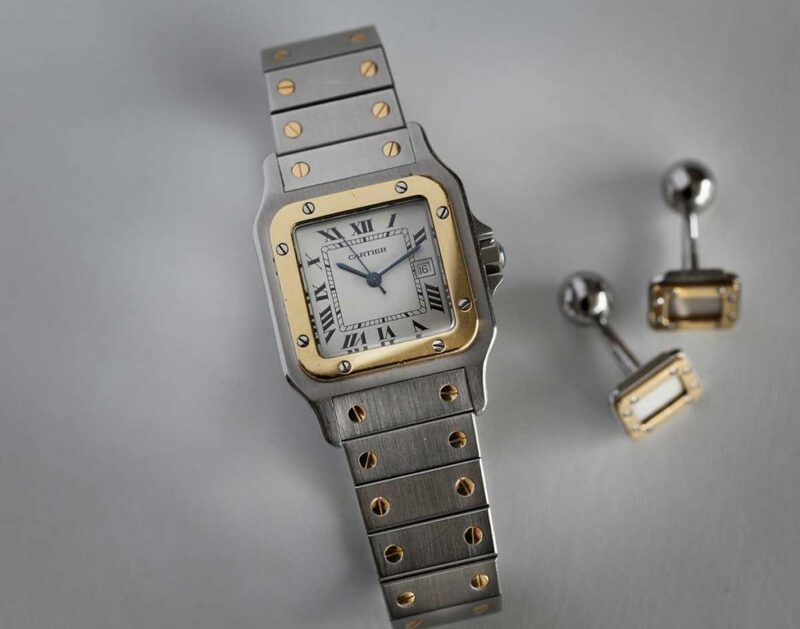 The screws on the bezel and the screws on the bracelet of the watch, in gold, were the right elements to highlight the combination of these two metals. 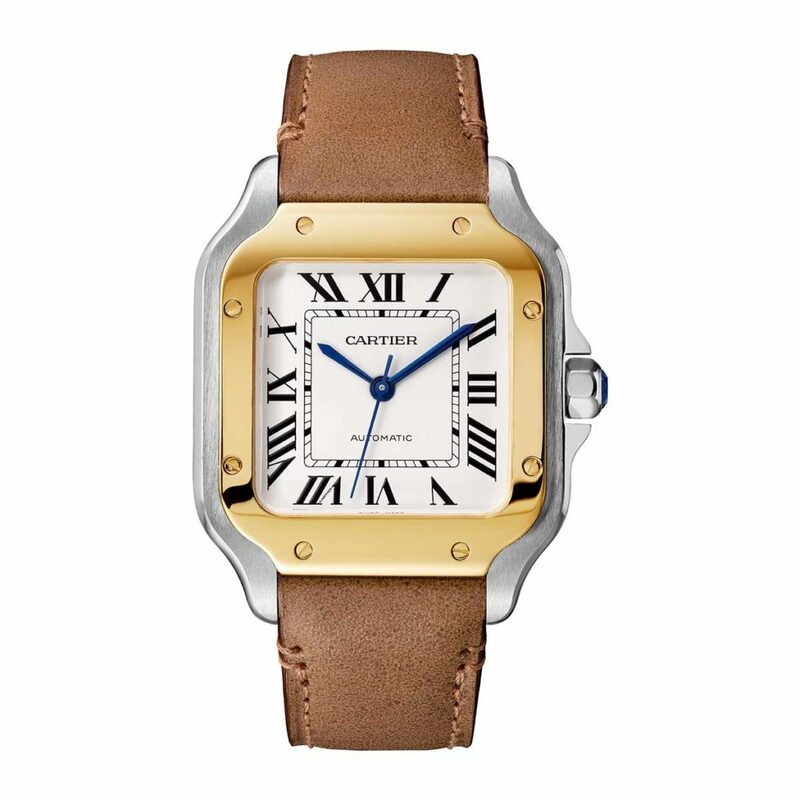 There have not been many timepieces since, even at Cartier, that look so good in two-tone as the Santos. To be precise, the launch of Dominique Perrin’s creation was in 1978, the 20th of October. It took place in the Musée de l’Air in Paris. And what a great choice that was, to organize the Gala over there. Since this is the place where the airplane of aviation pioneer Alberto Santos-Dumont, named Demoiselles, can still be found. 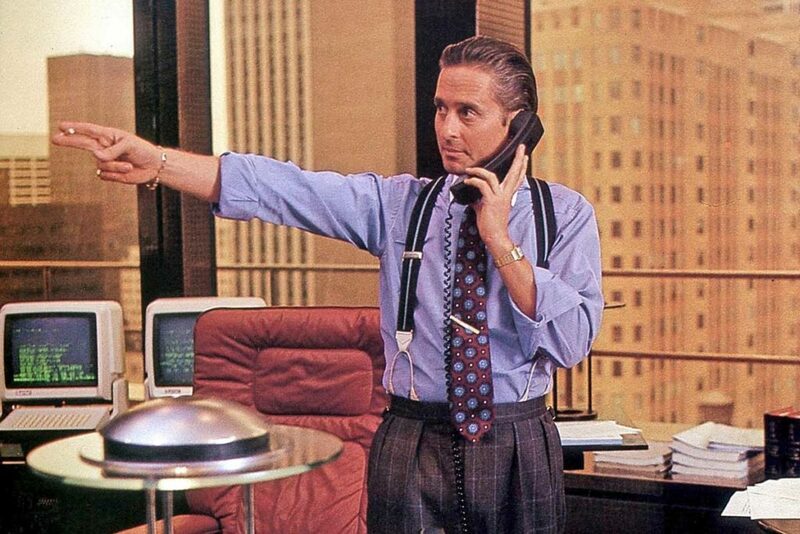 The Santos went on to become a huge success and turned into one of those watches that you had to have. Shortly after, an all steel model was released that increased the Santos’ popularity, quiet, substantially. Fame, however, also has its down side and it did not take long before the first copies of the watch flooded Europe and the US. This new problem was almost impossible to beat. 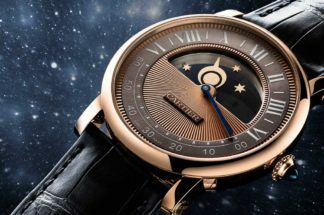 Despite the fact that Cartier launched different versions, like a Moon phase model, a round, an octagonal model and even a chronograph; the classic Santos was the most copied watch in the world for many years. In 1987, the Santos was drastically revised, renamed and relaunched as the Santos Galbée. The case lost its boxy looks and became more curved, smooth and fit better on the wrist than the original Santos. 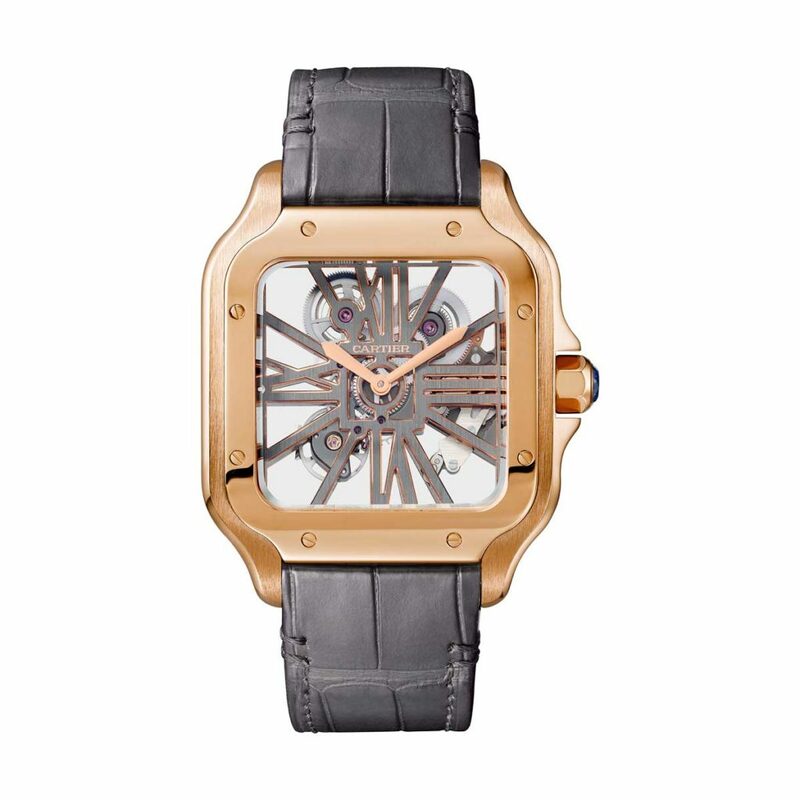 Most models were powered with a quartz caliber, but there were exceptions, like this limited edition with grey dial, version that was supplied with the 2000 calibre. 2000 pieces were made with the grey dial and 2000 more with a light blue dial. Almost none of them have found their way to the second-hand market yet. The last change was the introduction of the Santos Galbée XL, in 2005. The larger dimension of 32 x 45.5mm was a result of a strong demand for larger watches. The XL was an automatic watch, with an ETA 049 caliber. For the first time, the cut out for the date window did not occupy the number 3 or number 6 and was ideally placed between the numbers 4 and 5. This was a huge visual improvement. From an aesthetic point of view, the XL is — or was — very well balanced and was, possibly, the best-looking Santos since itså introduction. The name Santos Galbée has become, in the meantime, the common name for all Santos watches, but in fact, only the models made after 1987, were Galbée models. 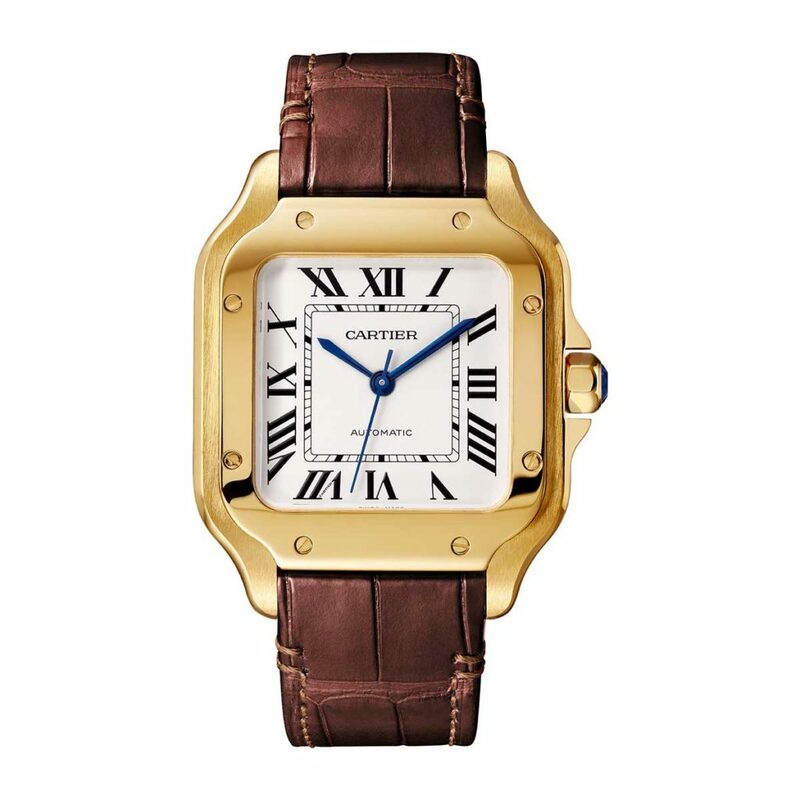 Around 2016, there was some ruckus in the public media and questions even popped up on my Instagram account, asking why the model had disappeared, from the official Cartier websites. This was a first, since it was introduced in 1978. 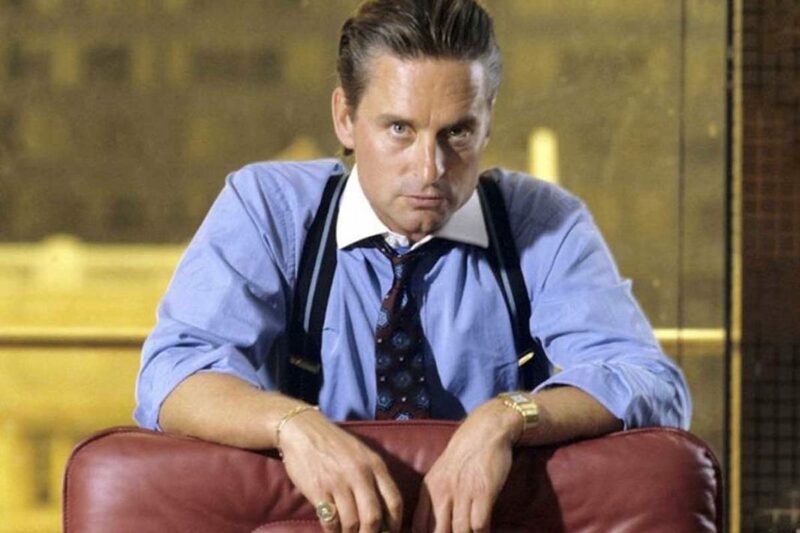 The watch became sold out at boutiques and was not being produced anymore. A fact that not many understood, since this was one of Cartier’s most famous watches; a legend and a pillar of Cartier’s watchmaking efforts. 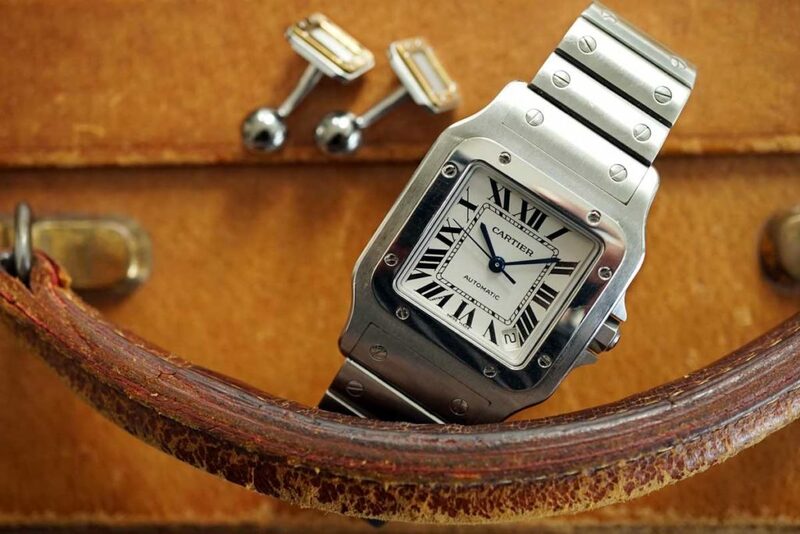 This was however the period of silence; the period that the Cartier team needed, to take the Santos and all of its many varieties, to create an updated version suitable for the present day and one that will be able to stand the test of time for many more decades to come. Now, exactly forty years after the initial introduction of the Santos, Cartier has given the watch its rightful welcome back into the catalogs at SIHH 2018. The latest collection of Santos watches come in a medium (35.1mm x 41.9mm) and large (39.8mm x 47.5mm) size, with an all steel, all gold (yellow or pink) or two-tone (yellow gold and steel) case. The large ones come with a date window at 6 o’clock; none on the medium ones. 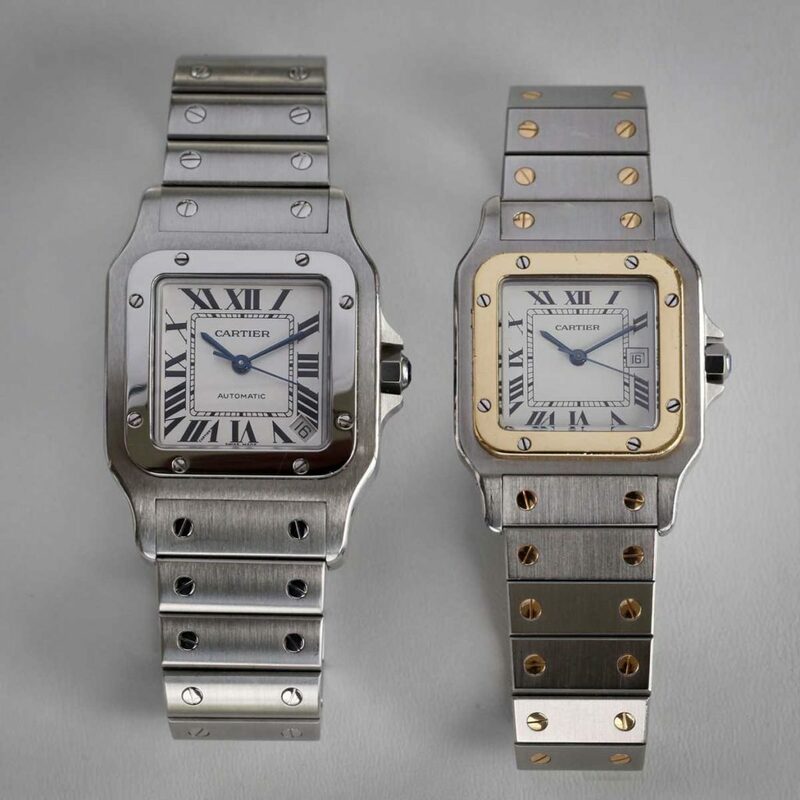 And, given the originally intended versatility of the Santos, you can have all the different case types fitted on a matching metal bracelet, or on a calf or alligator skin strap. 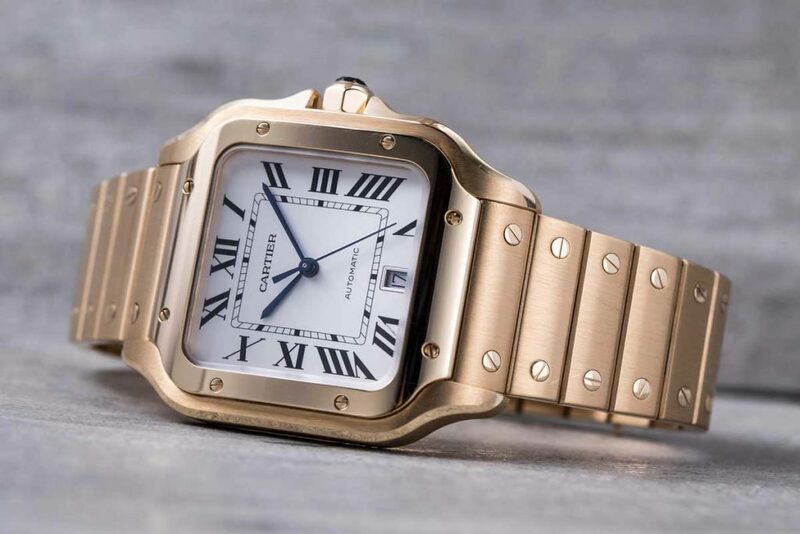 But just in case you are one of those indecisive types, Cartier’s devised the new QuickSwitch system (patent pending) that will allow you to swap out straps, as you desire, without having to reach for a tool. 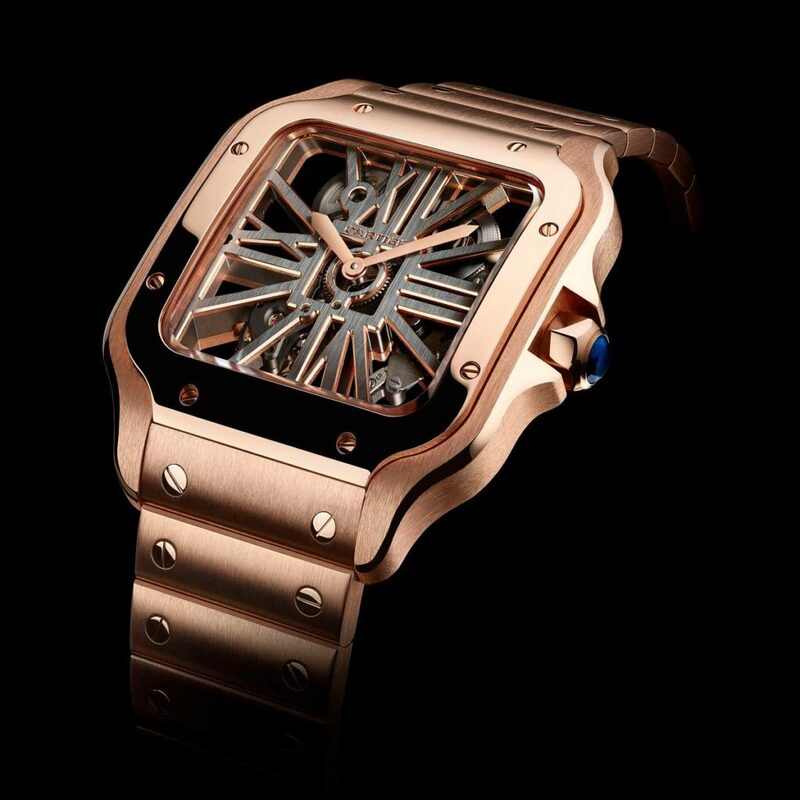 Also, for those looking for something extra, Cartier’s made a skeleton version of the large sized Santos in steel and pink gold, which shows off la maison’s knack for skeletonized movements. Both these versions come with matching metal bracelets. 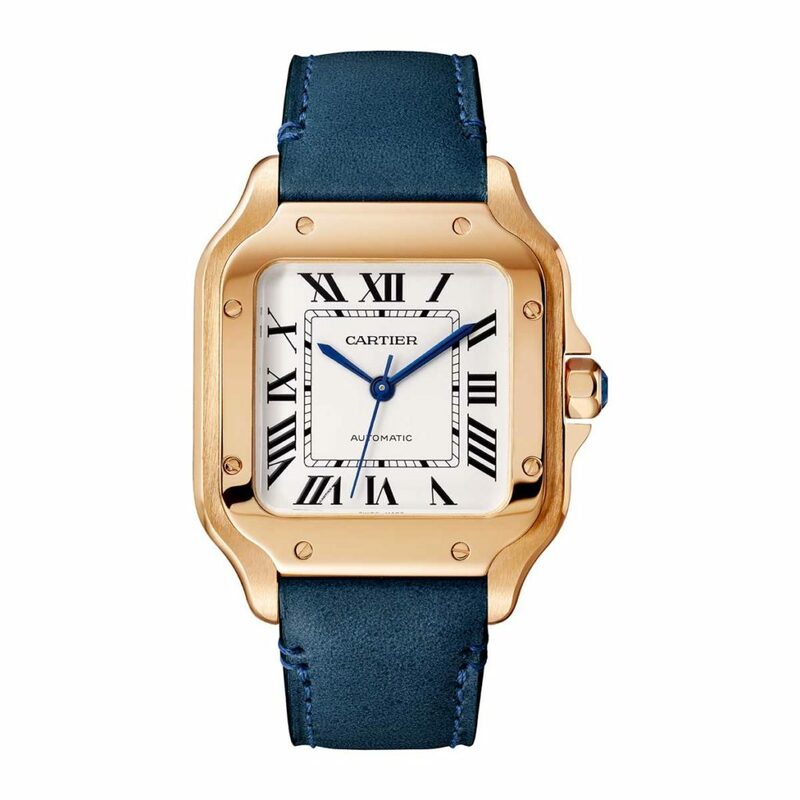 Which then brings us to the other bracelet innovation Cartier has revealed concurrently. This they’ve called the SmartLink self-fitting technology (patent pending). It allows for toolless adjustment of the metal bracelet’s length to the nearest link. That just about sums up a brief history and the present collection of the Santos. 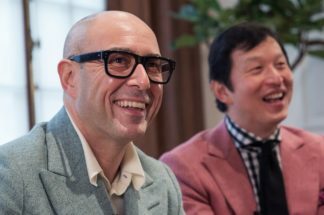 What remains to be seen from here on is how la maison will grow the collection now that it’s brought the watch back to its pure essentials, adjusted for modern times.